This is the story of Susan de Klein, born in Ewijk, the Netherlands. Susan was raised in a self-employed family. As she loved animals already as a child, she had different kind of animals and took great pleasure in taking care of them. As an 8 year old, she often went running in the forest with her dog, a beautiful German Shepherd, where she encountered a lot of riders with their horses. There her dream of becoming an amazon was born and she took up riding lessons at the local horse riding school. She was fascinated by the work with these horses and soon decided that she wanted to make her job out of it. Although her parents were absolutely not in favour of this decision, Susan held on to her dream. 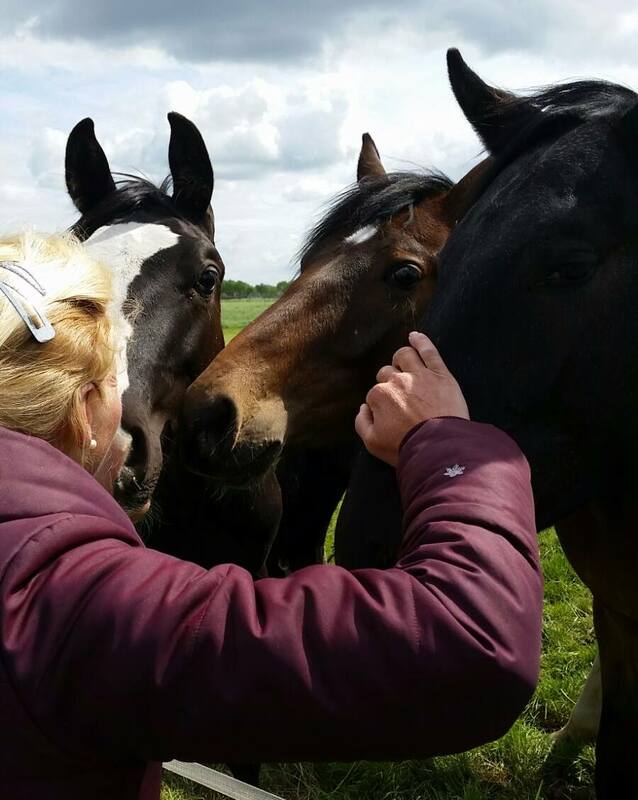 After her education, she first started working as a receptionist and Public Relation Assistant, but soon she pursued her dream and started working with horses, which she still does. At first, she helped and worked at the horse riding school, where she became an instructor for the children groups and private lessons. Meanwhile, she was riding successful in competitions with her own pony and a pony of the owner of the riding school. She decided to take the Orun education in the Netherlands, where students are trained and educated to be professional horse riding instructors. Then she moved to Germany, where she worked with a commercial training stable and stud for eleven years. She experienced a lot in these times, both positive and negative. With success, Susan competed on an international level for eight years and started her own stable. In that period, teaching took more time than riding her own horses. She won many awards from NCB to the Grand Prix and GP Kur. What do you think of the competitive dressage sport? Well, at first, I think that the the level of horses and training of the riders has much increased over time. But the social aspect of the sport? No! In my opinion, riding clubs have to give more attention to this point. I also think that today, the main goal is performance and ego, which I find unfortunate. The pleasure you get out of working with your horse is often forgotten? In the past, riding clubs went on competition with lots of members, which always was joyful and there was a good atmosphere among the competitors. Now, I see individual people with their horse on competition, where one looks even better than the other. That’s OK of course, but it becomes more and more an individual sport. In my time, you just bought a used cap, because you needed one for safety and there was not much choice. Now it looks to me that the more expensive the outfit is, the better. Furthermore I find that there are far too young horses in the sport more and more. And I think that we have a number of genuine professionals as jury in the dressage sport. When I read some comments on the protocols, I wonder where they got the knowledge from. Probably from theoretical books and courses. But often not from practical training. How do you think about working in another way with your horse? There are other ways of dealing with your horse. The internet is full of ideas. Horse coaching, liberty dressage etc. but regardless what discipline you do with your horse…. it comes to the joy and the pleasure you have with your four-legged friend, in my opinion. When you combine that with your normal training, you will be surprised how you performance and bond with your horse will grow. What is the reason you started to work in a different way with horses? As a professional amazon, I feld way too much external pressure. That was not good for myself but also not for the horses, I worked with. I now set my own goals. It is up to me and there are no further consequences. I do not have to deal with disappointed owners anymore, because their horse has not won. In the past everything was about money and now is all about fun and cooperation with my horses and riders I teach. What do you want to share with horse people? I think that, if people let the fun lead and not the ego, they very soon get other results.Forget the theory that the horse wants to oppose the owner, because in general they want to work with you. Look at yourself and your horse from a totally different perspective. Perhaps you have been given, unconsciously, the wrong signals to him during training. Also pain can be the reason for exercises not working out the way the owner wants. Do not judge too quickly about your horse. They are so serving! How do you think about complementary therapies, preventive massage and ground work to support the training for your horse? I am very much in favor of homeopathy. I’ve experienced many situations, where the vets could not help or where my horses responded counterproductive to medications. Homeopathy often helped very well, both for my horses and also for myself, since I am allergic to medications too. Quite a number of my horses had reacted positive on homeopathic treatment. I do massage my horses as well; it gives pleasure, relaxation and enhances the bond between me and my animals. And yes I also do ground work. This combination works. I combine those “treatments” in all my training and instruction.